Expect to put down the first month's rent and a security deposit, and in some cases, the last month's rent as well. With its food, culture, architecture, and frenetic energy, New York is a city like no other. That’s why more than 8 million people call it home—and probably a big reason why you’re looking to move here. Before you can become a bona fide New Yorker—which, depending on whether you ask a fellow transplant or a native-born resident, can take anywhere between five years and never—there are a few things you should know. First up, you’re going to need to find a place, and Brick Underground has tips on how to rent an apartment in New York City, a crash-course guide to apartment hunting, and our best advice for finding and negotiating renter concessions, which are incentives aimed at getting you to sign a lease. They can include a free month or two, longer lease options, or free building amenities that normally cost extra. While you’re likely already well aware that New York City is one of the most expensive places to live and rent (especially if you want to call Manhattan home), relocating here is also going to be pricey. 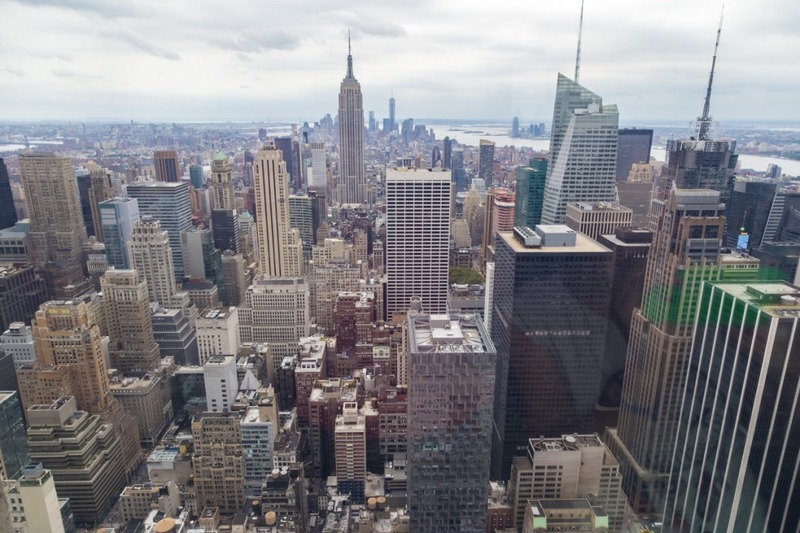 Read on to find out what you need to know about the cost of moving to NYC. Congrats! 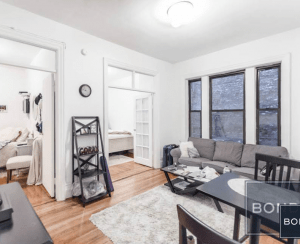 You found a NYC apartment that you love with a monthly rent you can afford. But before you walk through its front door, most landlords require the first month’s rent and a security deposit (generally a month’s rent) upfront. 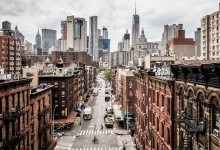 You should also be aware that there are some landlords who want the last month’s rent, too, “which is something we don’t see very often in New York, but you see fairly often in the rest of the country,” says Rory Bolger, a broker with Citi Habitats. While you certainly can apartment hunt on your own, it can be beneficial to use a real estate broker to help you navigate the city’s rental market if you’re from out of town. Agents know the city, its neighborhoods, and vet available apartments, so they can tailor the hunt to suit your needs and budget. Plus, they can guide you through the application process, and spare you the stress of dealing directly with a management company. Such guidance, however, is going to cost you a broker fee (if, that is, your landlord isn’t offering to pay the fee as an enticement). That fee can be between 12 to 15 percent of the annual rent, Bolger says. To put that into perspective, the median rent for a Brooklyn apartment is $2,738, so a fee could range anywhere between $3,900 and $4,900. Will you need a guarantor? So you found a NYC apartment you love and can afford, but do you actually qualify to rent it? 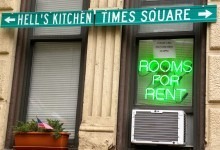 Most city landlords require a tenant’s annual salary to be at least 40 times the monthly rent. If yours isn't, you’ll need a guarantor (typically a parent or relative) who needs to make at least 80 times the monthly rent and is now legally responsible to pay the rent if you default. 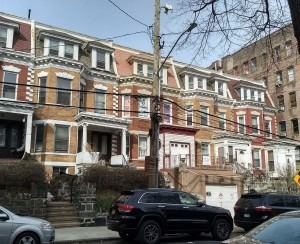 Should your relative not make enough, be retired, or not live in the tri-state region (the typical geographical requirement), Insurent Lease Guaranty, a Brick Underground sponsor, can serve as your guarantor if you make its required 27.5 times the monthly rent. “Depending on your qualifications, of course, you can expect to pay anywhere between 60 to 110 percent of a month’s rent,” says Charles Schoenau, Insurent’s managing director, of the company’s fee. If you don't meet Insurent's 27.5 times requirement, a relative or another responsible party can act as your guarantor. “They would need to make 50 times your monthly rent, or if they’re retired, have 80 times the monthly rent in their bank, savings, or stock market accounts,” says Schoenau. Moving is stressful enough without having to worry about lugging all your stuff into your new apartment, so if your budget allows, hiring movers to do the heavy lifting can be a godsend. But that's another thing that's going to cost you and will depend on where you’re coming to NYC from and how much stuff you’ll be moving. The average cost of a local move is $1,250, while the average for a long-distance move of 1,000 miles, say to New York City from Tampa, Florida, or Minneapolis, is $4,890, according to Moving.com's estimates. Travel fees (such as fuel or tolls), if you’re moving into a walk-up building, if you want movers to use felt pads or wraps, time of year (summer is historically a busy season), and day of the week are among factors that can add to your cost of moving. Plus, you'll need to have cash for the movers' tip, which is generally between 15 and 25 percent of the cost of your move. Of course, you can always rent a truck on your own (and beg family and friends for help). A rental company like U-Haul, for example, has a starting rate of $19.95, but the overall cost will vary depending on the size of truck rental, location, mileage, fees, and day and date of move.